Streptococcus Thermophilus is an ingredient found in our Yoghurt Starter product as shown above. 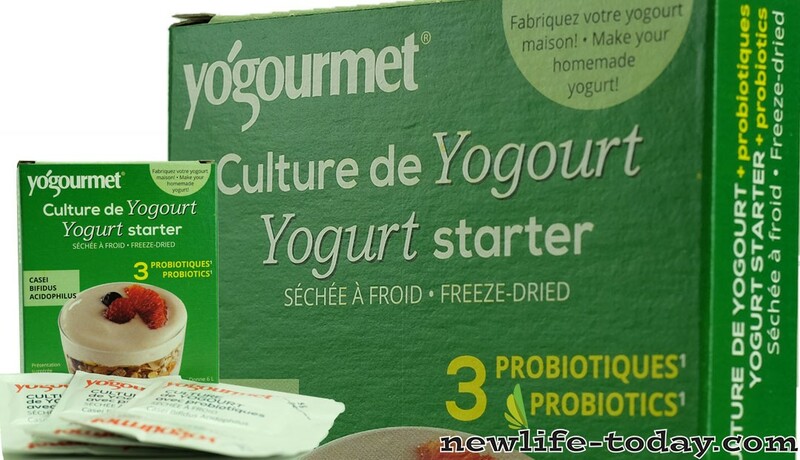 Streptococcus thermophilus is a type of good bacteria that can be found in yogurt. The amount of live microorganisms is pretty hard to determine from one batch to another. When people take antibiotics for infections, they also affect the intestinal flora killing good bacteria. S. thermophilus can help enhance the immune response. Streptococcus thermophilus does not have genes which contain surface proteins where most of the time pathogenic bacteria will attach to this protein to mucosal tissue and hide from immune system defensive actions . These kinds of bacteria can tolerate high temperatures and produces exopolysaccharides which are important in the fermented products quality and production of reduced-fat dairy products that have unique abilities to break down casein into small peptidesand amino acids which are needed for the maturation of flavors in reduced-fat cheese. Streptococcus thermophilus is a very important lactic acid bacterium that is usually used to produce milk, cheese and other dairy products, generally for commercial purposes. It hydrolyzes milk proteins and casein into nitrogen compounds, used as starting cultures for food fermentation. Given the unusual cell structure characterizing S. thermophilus, the bacteria can sustain high temperatures making it ideal for industrial dairy processes that usually require elevated temperatures.